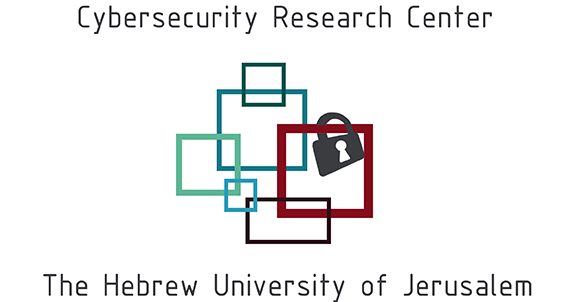 The current Scaling Bitcoin Workshop will take place September 11th -12th in Tel Aviv University, Smolarz Auditorium, Tel Aviv 6997801, Israel. We are accepting technical proposals for improving Bitcoin performance including designs, experimental results, and comparisons against other proposals. The goals are twofold: 1) to present potential solutions to scalability challenges while identifying key areas for further research and 2) to provide a venue where researchers, developers, and miners can communicate about Bitcoin development. We are accepting two types of proposals: one in which accepted authors will have an opportunity to give a 20-30 minute presentation at the event, and another where accepted authors can run an hour-long interactive workshop. Apart from general presentations and workshop, we plan to accept a limited number of short engineering presentations to cover state-of-the-art engineering progress after the submission deadline. Details of the short presentation submission will be announced later. While proposals that may apply to digital currencies in general are welcome, this event deals with the scalability of Bitcoin, and submissions which focus primarily on other digital currency systems are out of scope for this event. For the regular presentation proposals, review is conducted by double blind reviewing process. Submissions must be anonymous, with no author name, affiliations, acknowledgement or obvious reference. Proposals may be submitted as a BIP, as a 1-2 page extended abstract, or a paper describing ideas, designs, and expected experimental results. Indicate in the proposal whether you are interested in speaking, running an interactive workshop, or both. If you are interested in running an interactive workshop, please include an agenda. Proposals should be submitted by 2019-06-10 23:00 UTC. All talks will be live-streamed and published online, including slide decks. Scaling Bitcoin Workshop does not have proceedings. There are no submission restrictions - authors of presented submissions can submit to any other conference. Scaling Bitcoin Kaizen will include a session for sharing technological progress updates and information to help further thinking and discussions on scalability. We encourage anyone attending Scaling Bitcoin Kaizen 2018 in Tokyo who is interested in presenting their progress/idea/information to submit a proposal with name, title, affiliation and abstract up to 1 page. The submission deadline is 2019-08-10 23:59 UTC. The time allotment for each presentation will be decided based on the total number of submissions and their contents. As with general presentations, any advertisement, information regarding specific businesses, or ICOs will not be acceptable. The WIP session will be strictly focused on technical discussion. Please register here if you would like to be notified when ticket sales start. (Info: https://en.wikipedia.org/wiki/Visa_policy_of_Israel) You are responsible for identifying your own personal visa requirements to enter Israel. If you need a letter of invitation, please correspond with contact@scalingbitcoin.org (please include your name as in your passport, title and correspondence address).